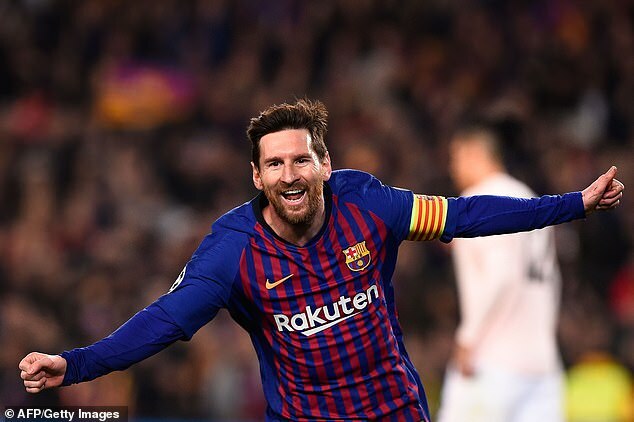 Lionel Messi put Manchester United to the sword to continue his exceptional record against Premier League opposition in the Champions League on Wednesday night. 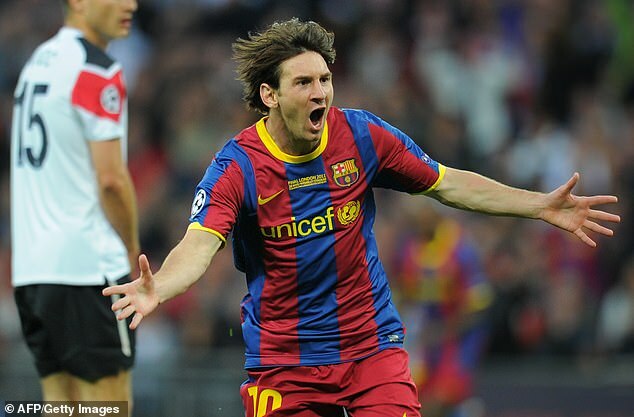 His brace at the Nou Camp inspired Barcelona into the semi-finals of the competition in a 4-0 aggregate victory. 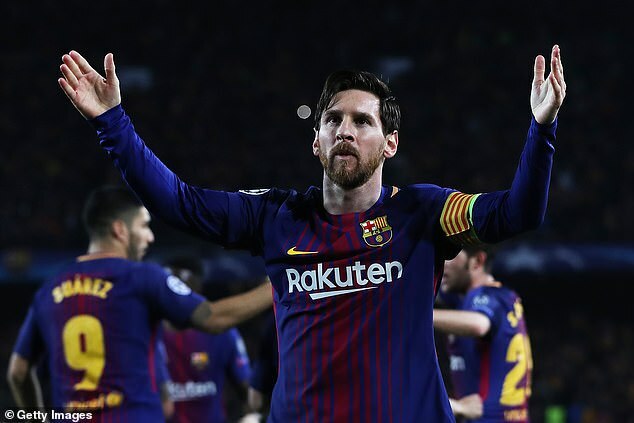 No one has scored more than his 24 against Premier League sides in the competition, which is double the number of his rival Cristiano Ronaldo. This week’s double comes almost a decade after his first against an English team, the headed goal in the 2-0 win over United in the 2009 final in Rome. He then scored another against Sir Alex Ferguson’s side in the final at Wembley two years later. Arsenal have been on the receiving end more than any other Premier League side over the years. He scored four against them at the Nou Camp in a quarter-final tie in 2010 and another two a year later in the last-16. 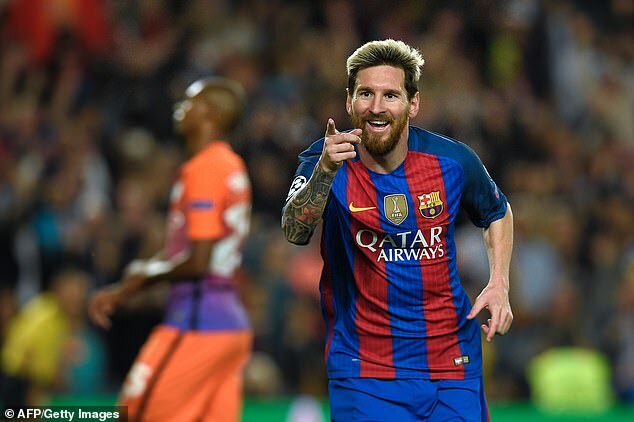 After two goals against Manchester City in 2014 he notched a group-stage hat-trick past them in 2016. Last year he finally broke his duck against Chelsea with three goals across their two-legged last-16 tie. And earlier this season he scored twice against Tottenham in the group-stage. Liverpool, who he played against twice in 2007, are the only English team he has faced in the competition without scoring. 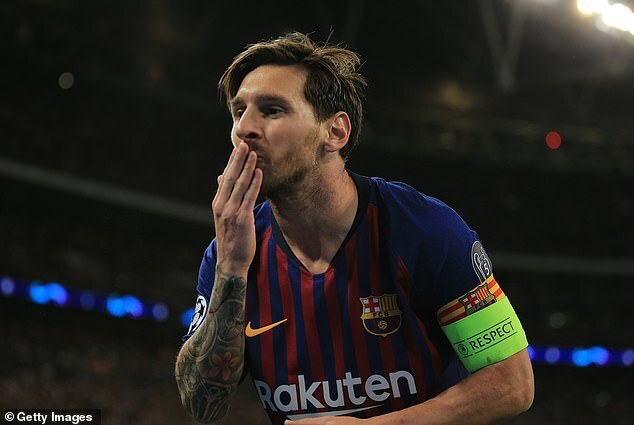 Incredibly, Messi is the sixth highest scorer against the big six Premier League sides since notching his first in May 2009. Sergio Aguero is in a league of his own on 52, leading Wayne Rooney, Jamie Vardy, Eden Hazard and Robin van Persie. 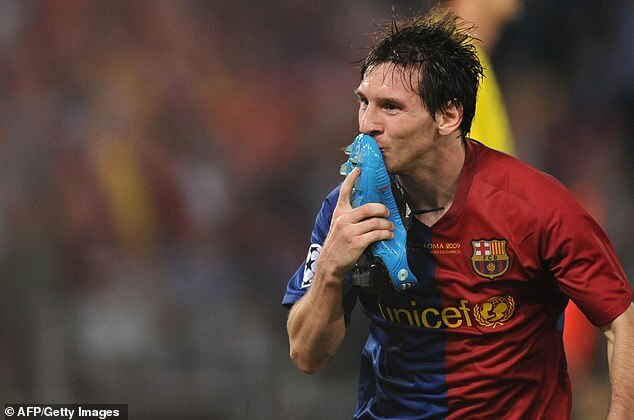 Then comes Messi, despite only playing against the big six in European competition. Behind Ronaldo in second on the list of all-time top scorers against English teams in the European Cup is Thomas Muller with nine. Rivaldo is tied with Samuel Eto’o and Edinson Cavani on eight, with Raul, Karim Benzema and the unlikely figure of Seydou Doumbia on seven.